Packages with inadequate seals can leave your company vulnerable to product spoilage and a bad reputation as a result. Insufficient sealing can also culminate in higher costs for machine recalibration, reworking, spill cleanup, and scrap. For perishable items such as food, a bag without the right seal can result in a shorter shelf life, poor quality of product, and messes for consumers. Most versatile used packaging machinery is affordable and can provide an adequate seal using heat seal jaws or bars. When heated, these parts close over the section of the package where the seal will be, causing the layers of sealant to melt and fuse. However, some factors can cause faulty seals. Here are some avoidable problems in package sealing that new or used packaging machinery can get around. One of the most common issues has to do with poor uniformity, which can have a negative impact on the seal strength. Sealing jaws can only form the perfect seal if they apply a consistent temperature and force throughout the sealing area. To ensure your seals have sufficient uniformity, select a packaging machine with sealing jaws that have been manufactured using a single piece of metal, which can avoid fluctuations in temperature and force. If package seals aren’t strong enough on both sides, this could be an indicator of poor alignment. In many cases, packaging machine technicians and operators will be able to move them into alignment using a single piece of metal, but this isn’t necessarily safe. Ideally, you should follow a strict preventative maintenance plan that proactively monitors alignment throughout the machine’s lifespan. When product is in the bag seam during the heat sealing process, it won’t adhere properly, which can impact seal integrity and result in leaking or contamination. To avoid dust and debris accumulation in the sealing area, you need to clean it from time to time. 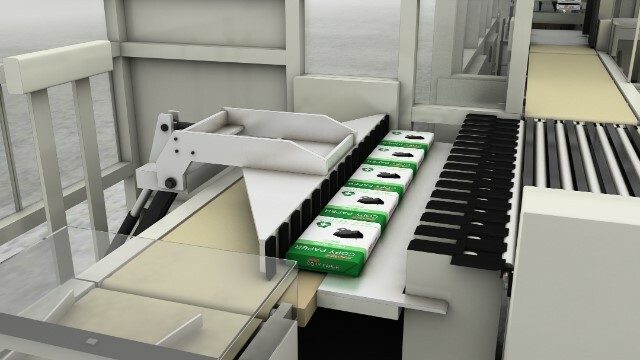 Packaging machine operators need to consistently clean and inspect all sealing jaws on a regular basis, which can help make sure that dust and debris won’t build up on the sealing bars as discussed. This can also make sure that any small problems with sealing jaw alignment or function are properly identified and addressed prior to becoming a major issue. Instead of heat sealing, another sealing method to think about is impulse sealing, which only uses electrical energy as opposed to heat seal jaws in combination with electricity. Impulse sealing bands heat up and cool down within a few hundred milliseconds to give the package seal time to cool down before being released from the sealing mechanism. Avoiding all of these issues is possible with a high-quality used packaging machine, which can be more cost-effective than purchasing new equipment. Simply make sure you perform regular preventative maintenance and you can keep your operations running smoothly.